Sameera Hafiz is the Director of Advocacy at the National Domestic Workers Alliance. 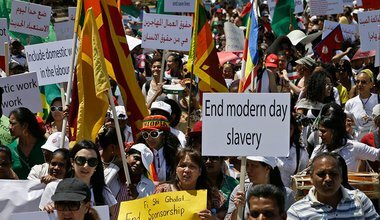 Sameera directs the ‘Beyond Survival’ campaign to end human trafficking of domestic workers. She also oversees the policy work of ‘We Belong Together’, a campaign to mobilise women in support of reforms that recognise the needs of immigrant women. A graduate of the University of Pennsylvania and of the Georgetown University Law Center, Sameera began her career providing free legal services to homeless families, survivors of domestic violence and human trafficking, and immigrants. 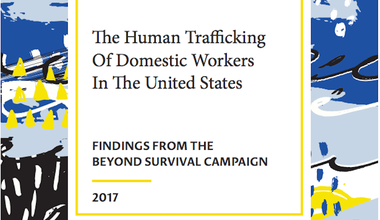 Data from the Beyond Survival campaign reveals that domestic workers are vulnerable to the most extreme forms of exploitation. 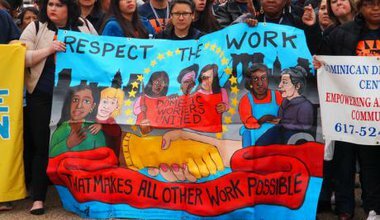 Domestic workers around the country are organizing. Ending labour trafficking requires us to elevate the voices of survivors and collaborate across state and policy lines to ensure accountability.